Donate Here! Join Our New Abolitionist Movement! Why are we boycotting VUSE e-cigarette? VUSE Boycott Pickets Spreading! 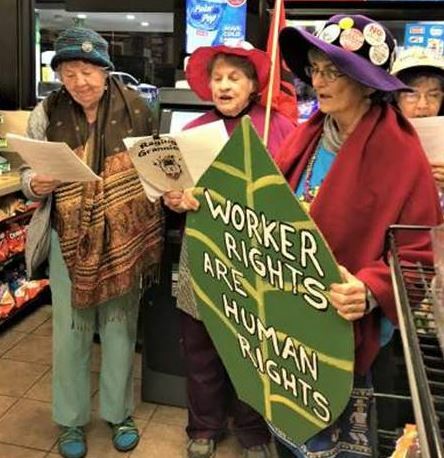 First, the grannies, or abuelitas, picketing at the Circle K in Chapel Hill, North Carolina on November 20th. We’re singin’ for fair wages for each and everyone. And we shall not be moved. 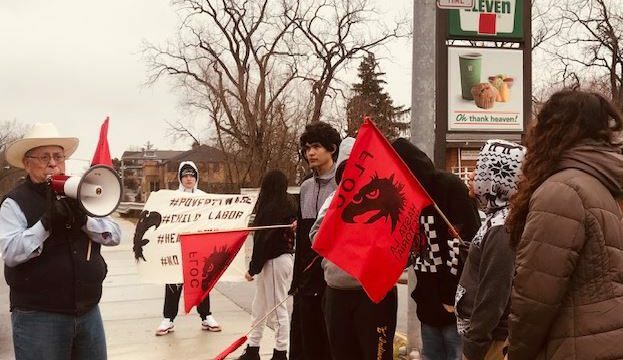 Here are the FLOC Homies and Eastern Michigan students at 7-Eleven in Yipsilanti, MI on November 17th. 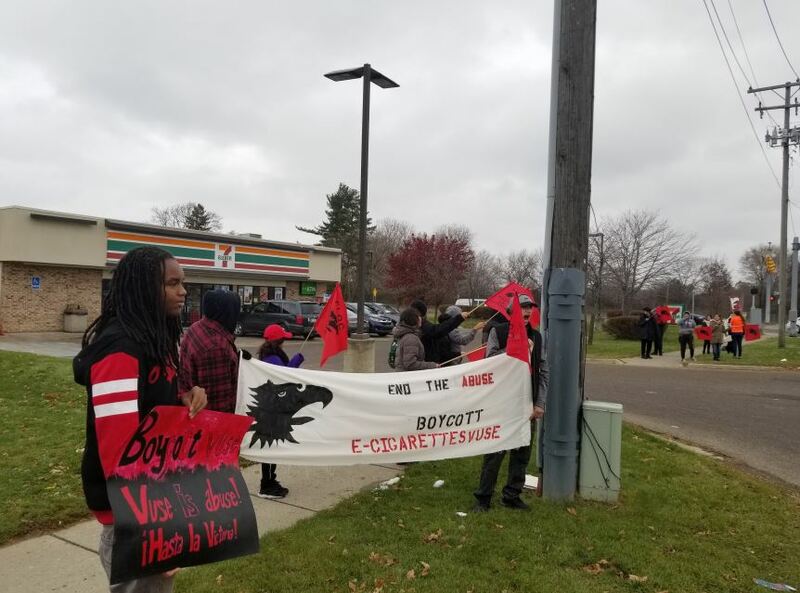 And here is our picket at the 7 Eleven on Bancroft Avenue in Toledo, Ohio right after Thanksgiving on November 24th. We also have pickets in Louisville, KY and in Apopka, Florida. 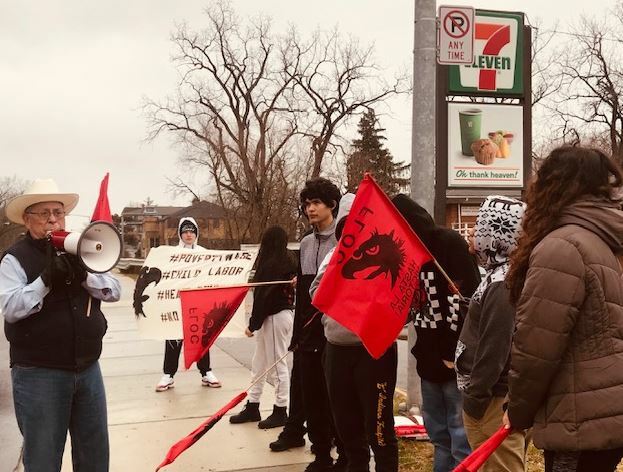 For 10 years, farm workers have asked Reynolds American Inc. to work with the Farm Labor Organizing Committee (FLOC) to end abuses and human rights violations in their supply chain. 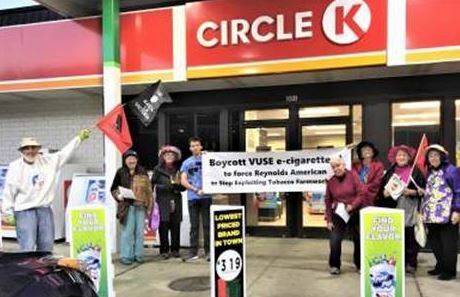 Until Reynolds signs an agreement guaranteeing workers a voice in their work place without fear of retaliation & the right to collective bargaining, join us in boycotting the VUSE e-cigarette! Check out our webpage frequently and the National Farm Worker Ministry’s page for updates and locations of our boycott actions.